Synthetic biology is at a stage similar to that of computer science in the 1950’s: The foundational pieces are starting to emerge, in the form of standardized DNA parts, packaged for combinatoric assembly using standards such as BioBricks. However, creating new DNA parts is tedious and time-consuming, and constructing systems from sets of DNA parts is an ad hoc, manual process that limits the size, complexity, and capability of the resulting systems. The time is right for automation of biological design. BBN has been working at the intersection of synthetic biology and computer science since 2009. 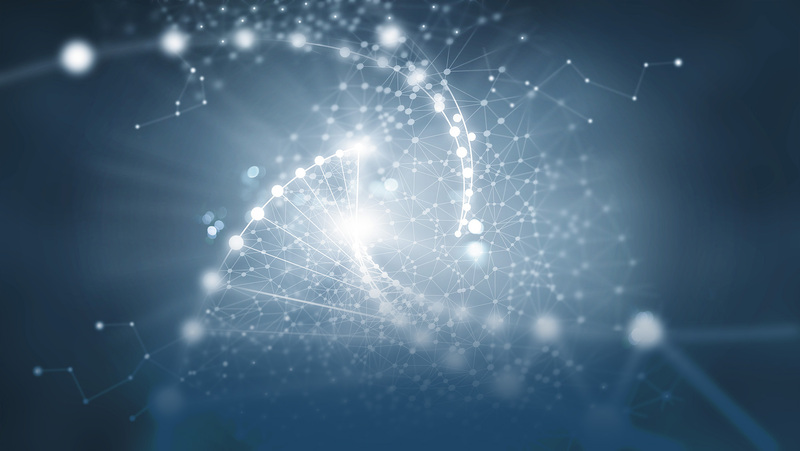 We have introduced and pursued a vision of a tool-chain that stretches from high-level languages to cellular implantation of genetic circuits. We have developed tools for high-level design and data representation. Our efforts have also focused on the reproducibility of results, improving device libraries, and high-precision prediction. Synthetic Biology is a field that combines science and engineering to design and build new biological functions or systems. The field is important for diverse applications including: new medical diagnostics and therapies, environmental remediation and sensing, and chemical production or detection. Unlike genetic engineering, synthetic biology seeks to understand the design enough to make a prediction about how it will behave. Synthetic biology is a maturing engineering discipline, enabling the design of sophisticated biological systems in a reliable, efficient, and predictable manner. BBN is working to apply lessons and techniques from computer science and artificial intelligence to synthetic biology. In particular engineering practices such as libraries of parts, modularization, standards and interfaces, computer aided design, and AI techniques can advance the capabilities of synthetic biology. BBN built the first end-to-end tool-chain for synthetic biology design automation including the BioCompiler that out performs human designers. BBN is an active participant in the Synthetic Biology Open Language (SBOL) that serves as a hub for linking many different synthetic biology resources. BBN has led the iGEM interlab study that examines characterization and reproducibility of results across hundreds of laboratories. BBN developed a calibrated flow cytometry method to more accurately measure, compare, and combine biological circuit components which enabled BBNs high-precision quantitative prediction software. BBN works with academic partners on several ongoing projects that include efforts to model and manipulate the 3D growth and differentiation of cells, and develop data-driven methods to accelerate scientific discovery and robust design in domains that lack complete models.